As you can see, there are not too many ingredients and most all can be found at the grocery store. I bought the dulce de leche at World Market. I like this brand because it is very thick, great for fillings. Just spread a little melted butter onto one side of the wonton wrapper. On my first attempt at making these, I brushed the butter on with a silicon brush, but that made the wrappers too buttery. So the next attempt, I just used my finger and spread just enough butter for the cinnamon sugar to stick. It worked out much better. Then bake the wontons for 7-9 minutes and fill. I used a Wilton #2D tip and piping bag to add the whipped mascarpone frosting and added some sprinkles for a pop of color. 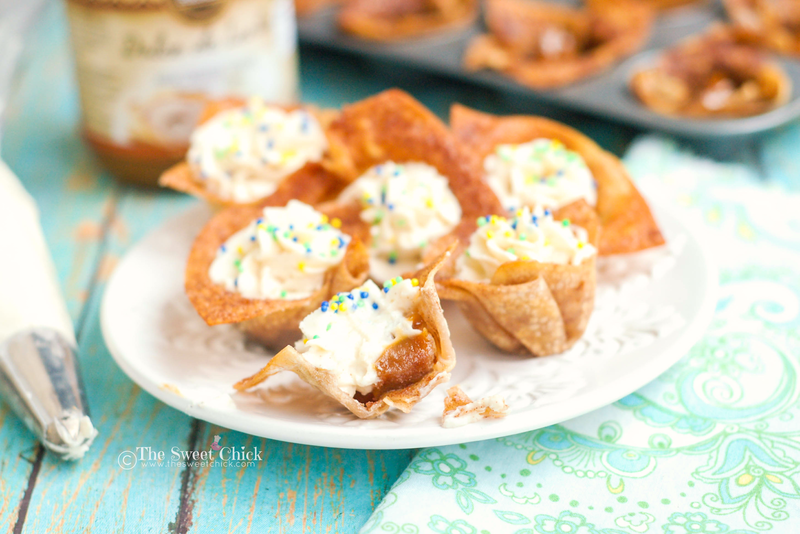 The cinnamon in the frosting blends well with the cinnamon sugar on the wontons and it balances off the richness of the dulce de leche. The crunchy outer shell contrasts perfectly with the soft, creamy fillings. I dare you to try eating just one. 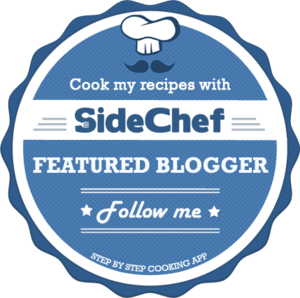 If you like churro recipes, you can try these others that I've concocted over the years. In a small bowl, mix together the cinnamon and sugar until well blended. Lightly brush one side of the wonton wraps with the butter ( I used my finger). Sprinkle the cinnamon sugar over the butter on each wonton. 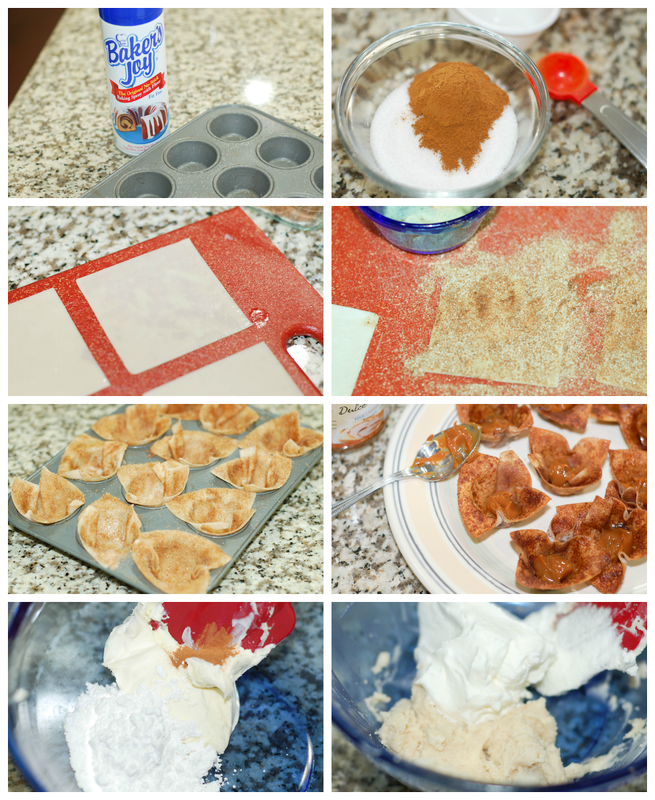 Place wonton wraps sugar side up in a greased mini muffin tin ( I used Baker's Joy to grease the tin). Bake at 350°F for 7-9 minutes, until golden brown and crispy. 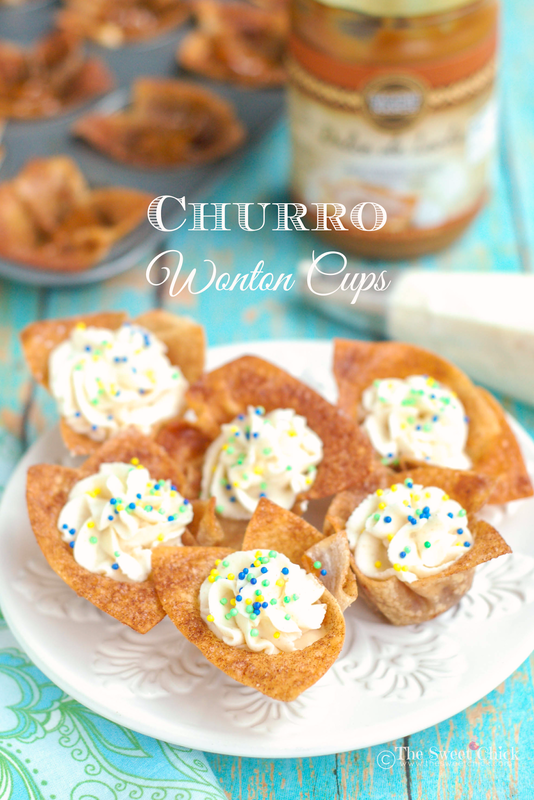 Evenly distribute the dulce de leche at the bottom of each wonton cup. In another bowl, stir together mascarpone, cinnamon, and powdered sugar until smooth. 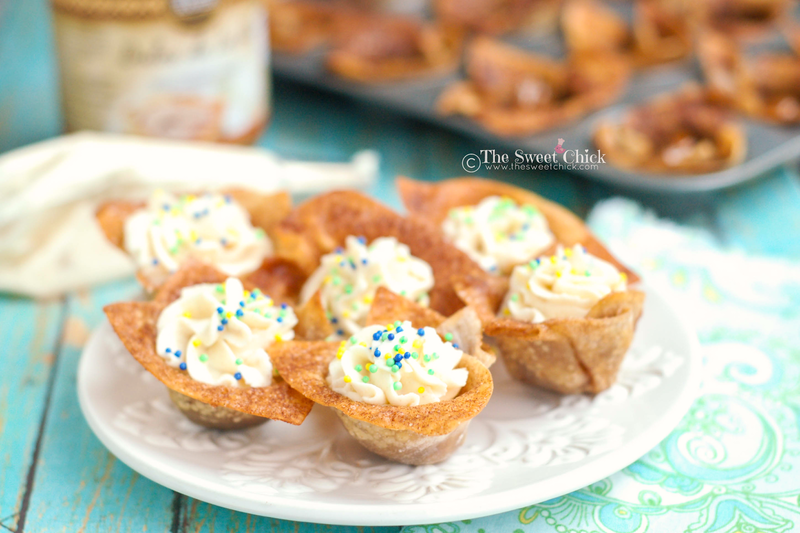 Pipe frosting evenly over the dulce de leche in each wonton cup ( I used a Wilton #2D tip). Wonton cups can be made ahead of time and kept in an airtight container at room temperature (2-3 days max). Frosting can be made ahead of time and kept in an airtight container in the fridge (3-4 days max). It's so versatile! I'm thinking of a cannoli version: skip the cinnamon/sugar & dip the tips of the shell/cup in chocolate, after they've cooled of course, maybe rim chocolate border w/ chopped pistachios or sprinkle on top (maybe even both) & fill with cannoli cream & sprinkle with mini chocolate chips. What do you think? Is the butter on the pastry just to make the cinnamon/sugar stick or should that be done regardless? 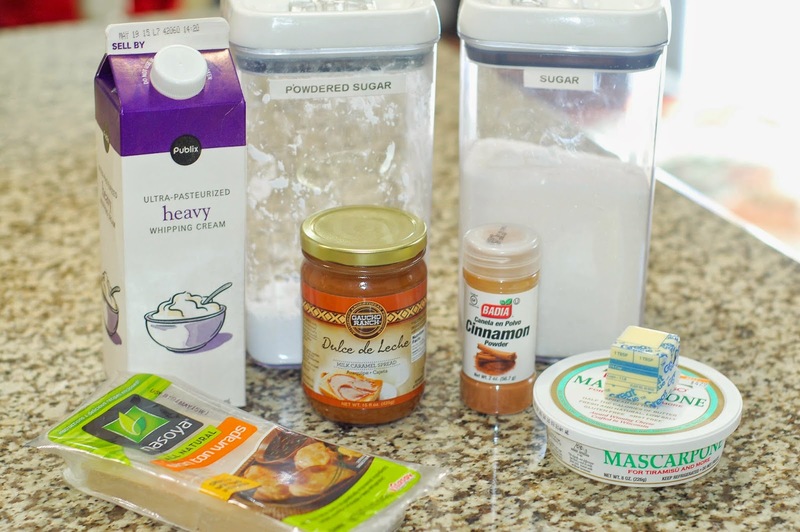 I love anything with cinnamon & sugar so I'll definitely give yours a try first! That sounds amazing. Definitely skip the butter, that was just for the cinnamon sugar. Let me know how that comes out.